Home / BPI / BPI Auto Loan / Car / LIFESTYLE / PR / Looking for a Fast and Easy Way to Own Your Dream Car? Go Online! Looking for a Fast and Easy Way to Own Your Dream Car? Go Online! As traffic situation worsens, more and more commuting Pinoys are wishing they had their own cars. 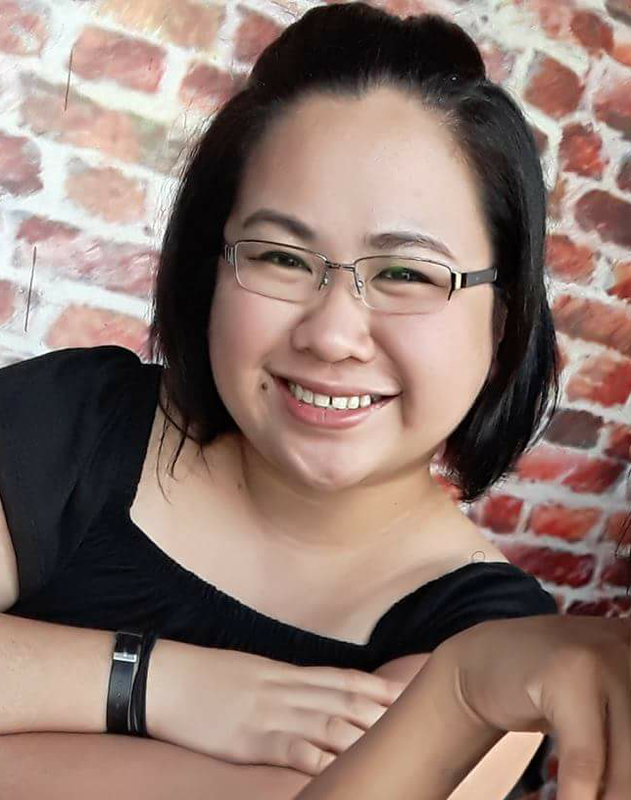 With the crazy traffic, and battering the long lines for jeeps, buses, MRT, and all other possible forms of public commute, many are wanting to have their own car, but worries how or that they are not capable to do so. Typically-shy Pinoys on the lookout for their own brand new car but are uncomfortable to visit dealers or go to banks may visit www.bpiloans.com, a virtual car showroom where people looking for a brand new car can view and compare the vehicles that are available in the market today. The site offers user-friendly, interactive, and convenient features that include a comprehensive car buyer’s guide, a self-service auto loan calculator, a simple online application form, and an easy to use self-assessment test. 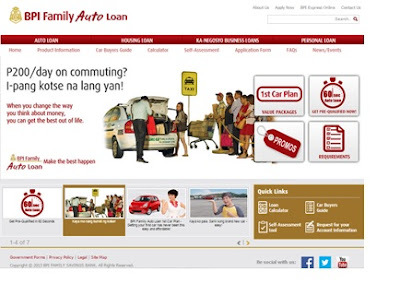 BPI Family Auto Loan recognizes the commuting public’s need and consistently steps up at the forefront to “Make the Best Happen!” The bank continuously seeks for innovative ways to make its products and promos relevant, available and accessible for Filipinos in a fast, convenient and affordable way. Through the online site, the bank also provides complete information that allows prospective car buyers make the best decision in choosing the car and financing that best suit their lifestyle, budget, and mobility needs. Moreover, the comprehensive car buyer’s guide found in the online car-buying site provides access to up-to-date information on all the cars available in the Philippine market, complete with variants, specifications, and prices. The facility also has a function that compares various cars with each other and allows buyers to make the best choice in their car purchase. Prospective car buyers thinking of the most suitable financing plan for their budget may try out the site’s auto loan calculator, which shows them initial cash-out and monthly amortization that goes with their preferred down payment percentage and loan term. The site also has an online loan application form that clients may fill-up and submit immediately online, making car shopping very simple and effortless. Likewise, loan decision is also fast. Expect to receive the results in just 3 to 8 business hours. “With the improving economic condition of the Philippines due to its strengthening industries and the government’s initiatives to improve transportation, auto manufacturers have seized the chance to provide more options ranging from high-end to affordable cars that will fit what the market needs. Likewise, BPI Family Auto Loan compliments this progress by providing car financing that is affordable, easily understandable, and highly accessible, for everyone. We are committed to contributing to our country’s progress and helping our countrymen realize their dreams of owning their own car,” shares Pepe Carlos, VP and Head of Auto Loans Division. 2 comments on "Looking for a Fast and Easy Way to Own Your Dream Car? Go Online!"